The Denver Nuggets’ Nikola Jokic is known for his smooth passes, but did you know he can do it without looking? 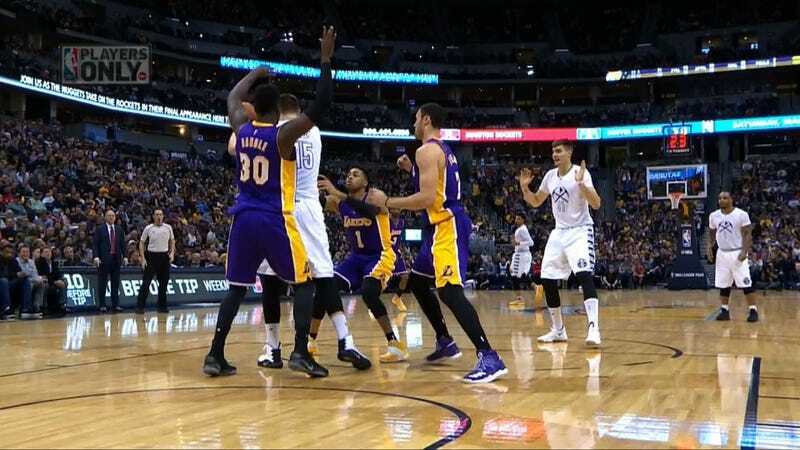 With the Nuggets up 45-31 in the first half, Jokic corralled a missed three-pointer and then, triple-teamed in the paint, tossed a pass backwards over his head to a streaking Will Barton who finished the play with a two-handed dunk. In other news, the Lakers have lost nine of their last 10 games.